● Kevin Harvick started 22nd, finished sixth, collecting five bonus points. ● The Busch Beer driver drove from 22nd to the top-10 in just 25 laps. ● The No. 4 Ford pitted on lap 47 from ninth place for four tires, fuel and adjustments to correct tight-handling conditions. ● Harvick came off pit road in seventh place and gained one more position before the stage concluded. ● After the stage, Harvick pitted the Busch Beer Ford for four fresh tires, fuel and air pressure adjustments. ● Started fifth, finished 10th, collecting one bonus point. ● Harvick advanced to fourth place and pitted under a lap-128 caution for four tires, fuel and wedge adjustments. 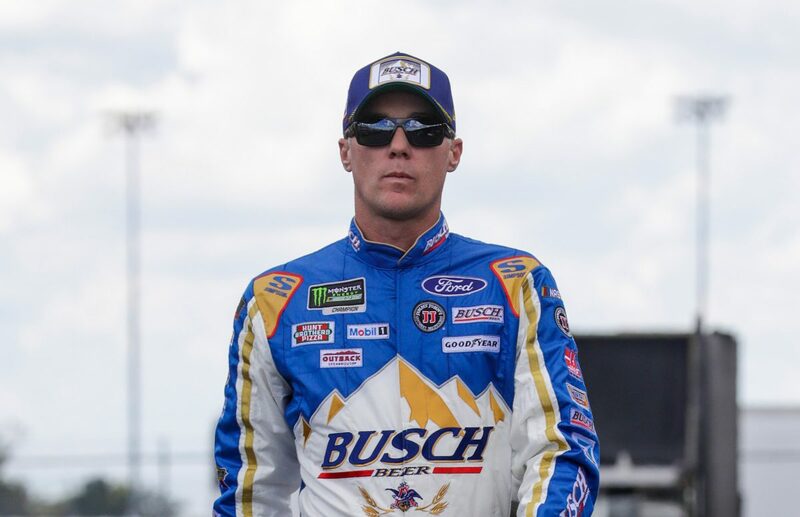 ● The Busch Beer Ford driver advanced to second place and rode the leaders tail until lap 158. ● The team decided not to pit under green-flag conditions in Stage 2 while the majority of the field opted to pit. ● Harvick held the No. 4 Ford inside the top-10 with some of the oldest tires on the track. ● He pitted his Ford Fusion at the end of the stage for four fresh tires, fuel and adjustments to enhance rear grip. ● Started 10th and finished fourth. ● Harvick ran in the second position by lap 261 after multiple cars pitted. ● The No. 4 Ford came to the pits on lap 286 for four tires, fuel and adjustments and rallied back to the top-10 on lap 301. ● The Busch Beer driver earned the free pass during a lap-312 caution and pitted for four more tires and fuel. He restarted in fourth place. ● Harvick raced inside the top-five until pitting under caution for four tires, fuel and wedge adjustments. ● He restarted the Busch Beer Ford in fourth place after a final lap-344 caution and battled the No. 42 car for third until the checkered flag waved. ● This was Harvick’s 18th top-five and 21st top-10 finish of 2018. ● Harvick earned his seventh top-five and 11th top-10 in 22 career Monster Energy NASCAR Cup Series starts at Darlington. ● Harvick finished sixth in Stage 1 to earn five bonus points and 10th in Stage 2 to earn one more bonus point. The next event on the Monster Energy NASCAR Cup Series schedule is the Brickyard 400 on Sunday, Sept. 9 at Indianapolis Motor Speedway. The race starts at 2 p.m. EDT with live coverage provided by NBCSN.